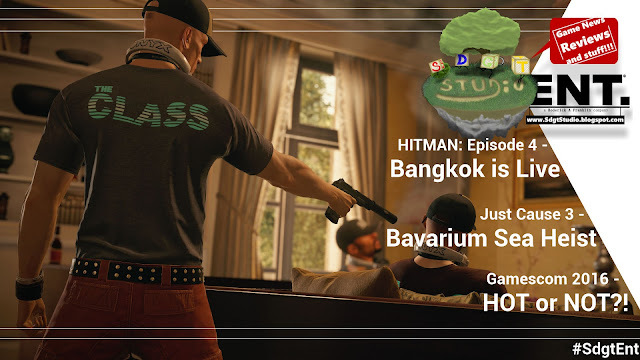 Super Duper Gamer Team Entertainment: HITMAN in Bangkok + Bavarium Sea Heist action + Gamescom 2016 goodness! HITMAN in Bangkok + Bavarium Sea Heist action + Gamescom 2016 goodness! Friday is off to as much of an awesome start as Thursday was (going back over Gamecom 2016 awesomeness). I have been having a (beach of a) ball... and I hope you are as well. Game reviews are still going on and... (phew) there are just so many games worthy of being reviewed. Taking the time to play and appreciate each one is the biggest challenge of all. (You might be thinking... "What's so hard about reviewing a video game, but i'll explain... just hold your mini horses.) Game reviews are sought so that gamers who want some great insight on what to invest in based on our 1st hand experience (minus the spoilers) have a better direction going into a purchase decision. Check out some co-op survival gameplay below being played on the PS4! HITMAN... which still has more locations coming our way (as seen below) for fans of stealth games with depth. Do not miss out on this game, they deliver enough variety in locations and objectives to give you various upon various options to complete the missions. I still want to set up some sort of back to back chain reaction to take out a target in spectacular fashion, I just have to do so without being seen... or just knock out a bunch of people to clear the way (but yeah, just something I want to do). Just Cause 3's review is done... minus the DLC reviews. We recommend this game... because its an open world just waiting for you to dig in and explore as you progress on the adventure (when you want... how you want). Anyway, check out our review and stay tuned for the complete review of all 3 installments of the expansion pass. 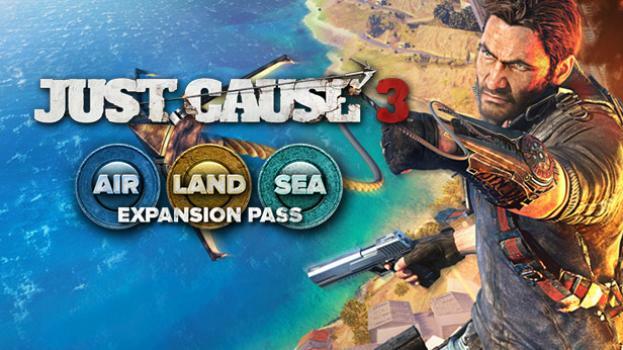 A trailer of the final DLC adventure from the Air, Land & SEA Expansion Pass can be seen below! 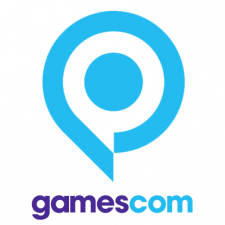 When it comes to Gamescom 2016 there are a lot of games that I want to get my hands on (some coverage is merely a reminder of some of the cool games that deserve to be wish-listed). 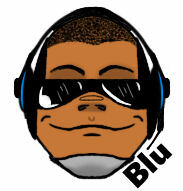 I want to multiply myself and then come back together after enjoy multiple titles to have the father of all nerdgasms. One of the games that would be on that list would be No Man's Sky... but (but) I don't know, I want to see more out of this beautiful game in the way of story beforehand. The team has the opportunity to deliver quest after quest when it comes to updates and... that's something that should be in the cards (if it isn't already) so that there is a reason to be... somewhere, even if you don't handle business right away. Just a thought: What would be really cool is... if the developer teamed up with multiple game developers to feature various DLC adventures in the universe and... they can split whatever percentage of that DLC revenue with the developer for delivering more content. Different developers would bring different perspectives and it would probably make this game... sicker than sick (in theory). Metal Gear Survive would be one of those games that i'd probably feel weird about playing considering Kojima is no longer heading the franchise, but... i'd play it... keeping a watchful eye on the depth of the story and overall gameplay. I can't and will not forget about Deus Ex Mankind Divided... because that is a must play for me and I wouldn't mind getting my hands on Fifa 17 to see what the new updates are. I didn't go into Gamecom 2016 with any expectations at all... but i'm liking what i'm seeing for the most part. Mafia 3, Sniper 3 Ghost Warrior, Fifa 17 & Battlefield 1 are Luis's picks. Yooka-Laylee, World of Final Fantasy & Pokemon Moon are Yang's picks. Deus Ex Mankind Divided, Resident Evil 7 & Zelda (Nintendo NX version) are RkRk's picks. Square-Enix: With all-new opportunities and disguises, plus over 65 different challenges unlocking new gear, weapons, and items, Episode 4: Bangkok is not to be missed. 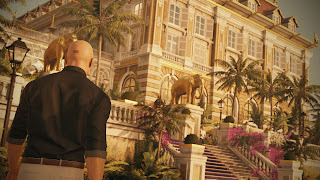 HITMAN began with a Prologue and Paris location in March, continued with Episode 2: Sapienza in April, Episode 3: Marrakesh in May, the Summer Bonus Episode in July and Episode 4: Bangkok in August. Next will be the United States before the season finale in Japan later in 2016. Just Cause 3's next DLC adventure is here... and believe me when I say that I look forward to this adventure a bit more than the mech adventure. Why? I'll explain in the review. 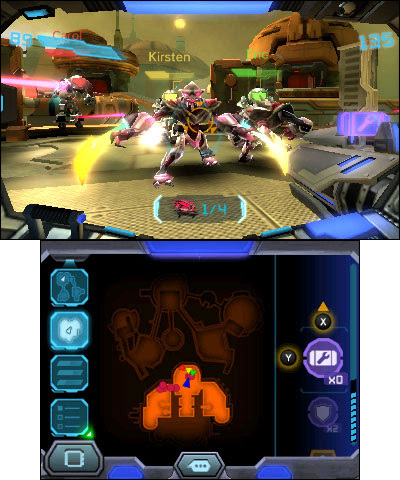 Metroid Prime: Federation Force – The galaxy is not at peace. The war between the Galactic Federation and the Space Pirates is far from over. Enlist with the Federation Force to join a four-player local or online squad in this co-op sci-fi shooter (additional games and systems required for multiplayer mode; sold separately). Fight alongside teammates in your specialized Mech to eliminate the Space Pirate menace and any threat that stands in your way. You can make it a solitary mission or join up to three friends for increased firepower and deeper strategies. TheMetroid Prime: Federation Force game will be available on Aug. 19. Pokémon Ranger: Guardian Signs – The third installment in the action-packed Pokémon Ranger series lets players take on the role of a Pokémon Ranger who protect nature and help people and Pokémon in need. But other folks aren't so keen on keeping the peace! The Pokémon Pinchers are a suspicious group of people who seem to always be causing trouble by chasing and capturing Pokémon for their own purposes. As a Pokémon Ranger, it's up to you to work with Pokémon to stop their nefarious plans! 99Moves (Wii U), Darts Up 3D (Nintendo 3DS) and more from Enjoyup Games are on sale until8:59 a.m. PT on Sept. 15. Oddworld: New ‘n’ Tasty is 50 percent off (reduced from $19.99 to $9.99) until 8:59 a.m. PT onSept. 1. Inside My Radio is more than 35 percent off (reduced from $14.99 to $9.49) until 8:59 a.m. PTon Sept. 1. Zombie Panic in Wonderland DX is more than 35 percent off (reduced from $8 to $4.99) until8:59 a.m. PT on Sept.15. Time to get back to the action... so with that said... Game on and feel free to enjoy more Gamescom 2016 live... by hitting the play button below!